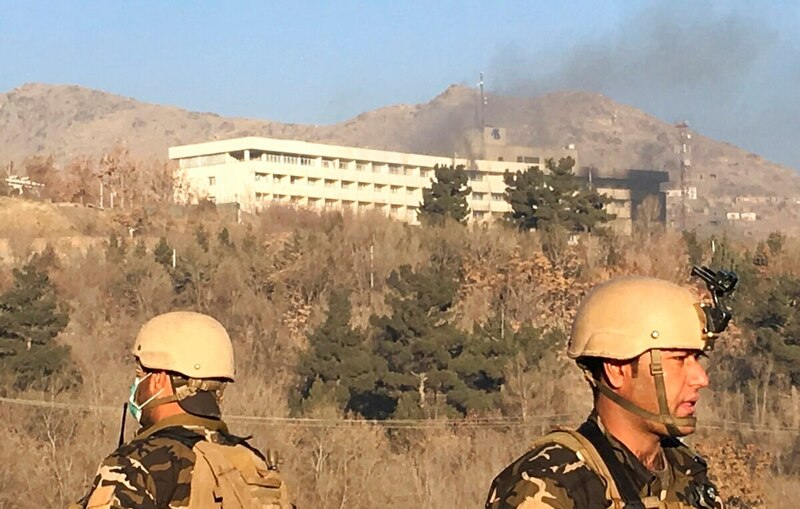 KABUL, Afghanistan — A Taliban assault on the Intercontinental Hotel in Afghanistan’s capital killed at least 18 people, including 14 foreigners, and pinned security forces down for more than 13 hours before the last attacker was killed on Sunday, with the casualty toll expected to rise. Ukraine says one of its citizens was killed in the attack. Vasyl Kyrylych, a spokesman for the Ukrainian Foreign Ministry, announced the death of the Ukrainian citizen in a brief statement on Twitter, without providing further details. Afghan officials did not identify the foreigner killed in the attack. During a press conference, Danish said that early investigations show that six insurgents entered the hotel from the northern side and stormed its kitchen. Two attackers were killed by Special Forces on the 6th floor of the hotel. “We need to complete our investigation, but our initial reports show that the attackers were moved in to the hotel,” said Danish. Afghan forces have struggled to combat the Taliban since the U.S. and NATO formally concluded their combat mission at the end of 2014. They have also had to contend with a growing Islamic State affiliate that has carried out a number of massive attacks in recent years. In the western Farah province, a roadside bomb killed a deputy provincial police chief and wounded four other police early Sunday, according to Gen. Mahruf Folad, the provincial police chief. 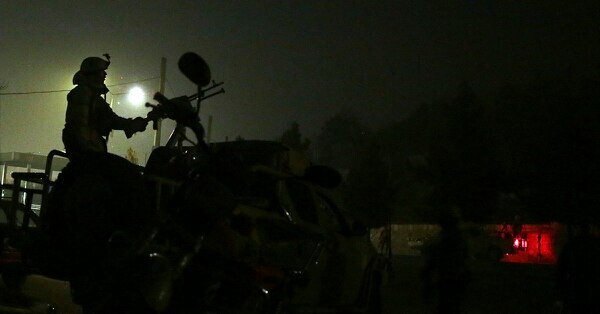 In the western Herat province, a roadside bomb struck a vehicle carrying 13 civilians, killing all but one of them, said Abdul Ahad Walizada, a spokesman for the provincial police chief. No one immediately claimed the attack, but Walizada blamed Taliban insurgents, who often plant roadside bombs to target Afghan security forces.